If you are the proud parent of a new puppy, then chances are you are also privy to his biting. The truth is this, puppy biting whether social or exploratory is normal behaviour in puppies 5 months and younger. Generally, it isn’t until the age of 7 months that puppies begin to bite in earnest. With maturity comes confidence and if left untrained they are more like to resort to aggression to get what they want. 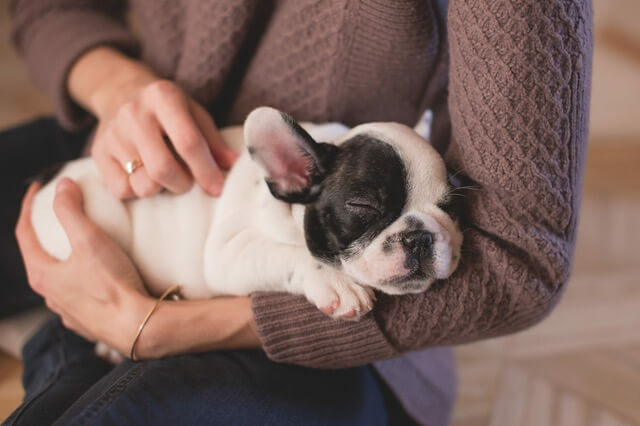 Unfortunately all too often, dog owners are oblivious that problems are developing until their puppy is all grown up and bad habits become the norm. Here’s our top tips for owners to help reduce the chances of your puppy biting and stop him from growing up to become aggressive. A good starting point is to keep your puppy on a leash indoors or on a drag line for a week or two as you begin training him. This will allow you to control his biting, pull him gently and wait until his excitement wears off. Let's begin! 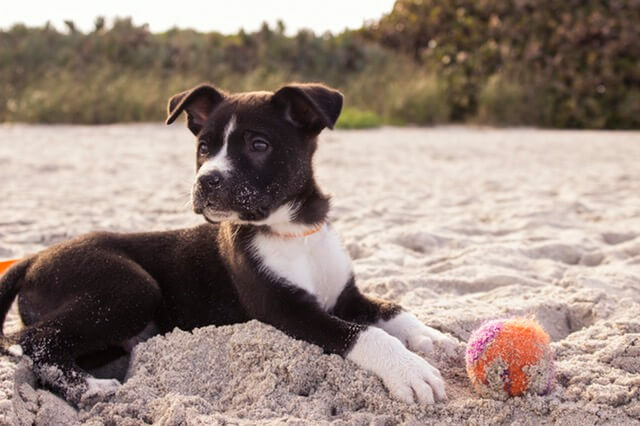 Often a puppy that bites continuously is a sign that your puppy may not be getting the mental and physical stimulation he needs. Simply put you need wear him out. Take him to a new surroundings on a daily basis ideally fenced in on a long dog leash and let him run around. Use puzzle toys or feed him his foods using a Kong or other dog treat toy. This will give him the stimulation he needs and prevent him from biting you out of boredom. A puppy’s teeth are “needle” sharp and this can cause a lot of unwanted pain. When your puppy begins to play-bite, encourage him to direct his play-biting onto their preferred chew toys. Here are some great chew toys to have in your arsenal to help keep your puppy interested and more importantly keep his mouth occupied. Kongs stuffed with treats, peanut butter, frozen treats or dry kibble. Remember to rotate toys around every 3 days to keep their novelty. Just leave out 2-3 at a time. If the approach mentioned above fails to work and your puppy remains determined to grind his teeth in your skin then stand up and without saying anything or making direct contact simply walk away. Do this every time your puppy gets over-excited and begins to bite you instead of his toy. Within a couple of days you should notice an improvement in your puppy’s biting behavior. They’ll quickly learn that biting you puts an end to playing. And what puppy likes that! If your puppy begins to bite you when you pet him, stop and only pet on occasions when he is in a relaxed state or feeling sleepy. Otherwise you might find yourself in a biting fest. The same applies to when you’re petting his head, this kind of touch encourages biting. Instead, pet him gently on the chest or under his chin. Avoid wrestling with your puppy. Instead opt of a game of tug of war for the correct and safe way to play with him. It is natural for puppies to get overexcited at the sound of feet walking toward them especially those of young children running around. This can lead to your puppy joining in and play-biting while wrestling with your shoes, clothes or worse nipping at your ankles. If you see this happening, it’s important to act quickly to prevent this from happening again. Since your puppy gets allocated times of playing, you are perfectly entitled to make him aware that this behavior is not acceptable. Standing firm tell him off in authoritative and loud voice. Be scary enough to make him retrieve as he recognizes his mistake. Then, praise him for having stopped. Shortly after walk by him again to see if he has learned what you just taught him. If he has and does not begin to follow you recognize that and praise him again. The idea is to teach your puppy that good things happen when bad behavior stops. If this fails, dangle a rope toy to distract him as you walk past him. Keep a few of these toys lying around the house. Your pup will direct his bite toward the dangling toy instead of nipping at your feet. Throw him a treat behind you as you walk past him and when he has finished and catches up with you offer him another treat at nose level. Finally, teach your pup to do a sit-stay as you walk by him and then offer him a big reward. You'll quickly learn that puppies also devour chewing and biting on absolutely everything and your furnishings are no exception. To avoid this, puppy proof areas of your house he spends his time in or limit those areas to just one or two rooms and puppy proof anything else below 3 feet. To limit access keep doors closed or use a play pen or crate when you’re in the room or a drag line and ensure he has plenty of distraction toys to keep him occupied. Biting can be both painful and frustrating to new pet parents. If these tips fail, don’t wait, get customized help from a dog trainer. 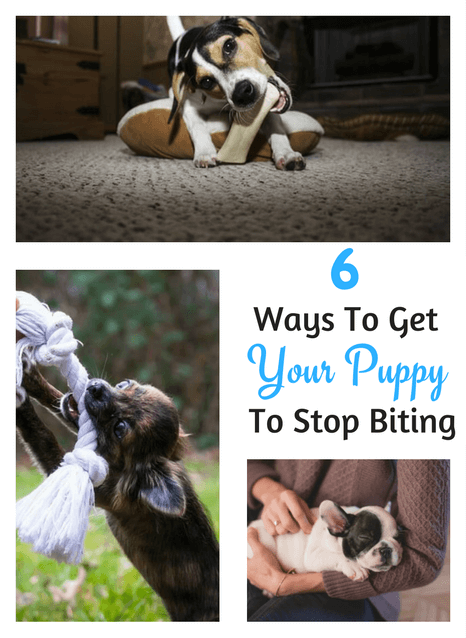 These tips however can really work and you should start seeing results in your puppy’s biting behavior within just a week if you commit and remain consistent in your training. Puppy Savvy: The Pocket Guide to Raising Your Dog Without Going Bonkers, by Barbara Shumannfang. Thank you for reading and we hope you have found the information useful. What are your own experiences and actionable tips for stopping your puppy from biting? Share your tips below and please don’t forget to share with us if you found this content useful! I have a Bischon 8 months old puppy. I also have a 8 year old Bischon that is the sweetest dog in this world. However the puppy bites at her constantly, jumps on her and bites her and will not leave her alone. Bella my 8 year old, is very submissive and seldom bites back at her but not enough to stop her. I have tried everything, pulling the puppy off her, Yelling at her no bite, put her back in her play yard, etc. But does not help! Help me put a stop to this as it is not good for my older dog or for me also! I can sympathize with your predicament Linda! Biting and nipping as you know is a normal social activity for young pups when playing. It’s up to us humans to teach our pups what is and is not appropriate when it comes to biting and this can take a little time and patience. The good news is that is that play biting is an age-related behavior and with maturity this too will stop. A great way to inhibit biting is to allow your 8 month old puppy to socialize with other puppies including well socialized older dogs if you haven’t already started to do so. If your puppy gets too rough while playing, the other puppies will yelp or give out a cry. This sort of socialization can help your puppy learn how to control her biting. If your 8-month old Bischon wants attention from you, place a toy in her mouth before you start petting her. If the toy is dropped, the petting stops also. If she begins to bite, place the toy quickly in her mouth. If she drops the toy again and bites, take time out. By simply stopping giving her your attention, you are “punishing” your Bischon puppy in a way she can comprehend rather quickly. Finally, another tip to stop puppy biting and nipping you can try in conjunction with the above and the recommendations in the article is using bitter apple spray. You can find it on Amazon or your local pet store. You can either spray some on your hands, or a just quick spray in your Bischon’s mouth along with a “no bite” reprimand might just do the trick.